If you struggle putting heat transfer vinyl on shirts I’ve got all the tips and tricks to help you start making professional looking shirts. PLUS there’s a free placement and sizing guide for you to download! Making shirts with my Silhouette is probably my favorite thing to do. Which, you probably know by now with how many I’ve made and shared here. They’re so easy to make and they’re fun to show off too. So really, they’re the perfect craft for anyone to do. want the FREE htv sizing and placement guide? sign up to get it below! I’ve always struggled with the BIG 3 questions when it comes to placing the heat transfer vinyl on shirts. How big do I make the design? How far down from the collar do you place it? How do you make sure the vinyl design is straight? I have multiple shirts where the designs were too low on me, crooked, or just so big that you can’t even read the text. It’s a learning process to figure out where the best placement is and how big you need to make these designs. But I want to take away those doubts and questions for you. I want to make this easy so you can make to your heart’s content and embarrass your kids or significant other with punny shirts. Heat transfer vinyl is a type of permanent vinyl that can only be applied with heat. Typically it’s used on things like shirts, pillowcases, blankets, etc. But you can also use it on wood and glass! How do you use heat transfer vinyl? 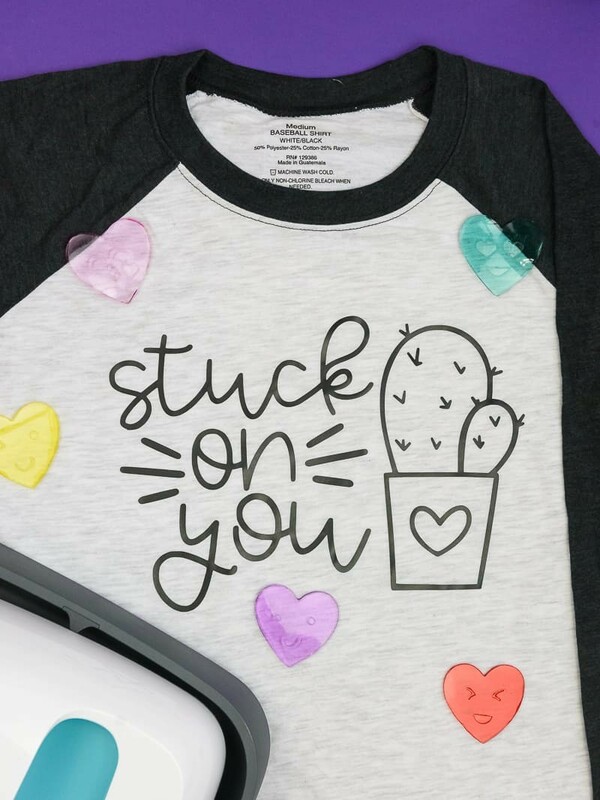 Heat transfer vinyl comes with a carrier sheet on top (similar to transfer tape, but it can withstand high heat from a heat press, iron, or Cricut EasyPress). Whenever you cut heat transfer vinyl the carrier sheet (shiny side) will be facedown on your mat. You also have to mirror the design before you hit cut! Otherwise, your design will be backward when you go to place it on your shirt. How do you apply heat transfer vinyl to your project material? Heat Press – this is the largest and most expensive (depending on what type you get) option to apply your vinyl. If you have a business or just do a lot of shirts I recommend looking into a heat press because it can do designs up to 15×15 and it’s very rare that you’ll ever need to make a design bigger than that. You also get even pressure with a heat press, and that’s really important! Cricut EasyPress – this is similar to a heat press but it is smaller and easier to store if you are limited on space. I use an EasyPress and I love it, though I wish I had waited to get the bigger size (it came out a few months after I bought mine…of course!). Mine is a 9×9 so I have to press my designs multiple times to make sure I’ve heated all the vinyl. This sometimes causes uneven pressure on the vinyl which you can see if you look close enough. Iron – if shirts are not something you’ll make a lot of then a iron will be fine. However, depending on how big your design is you’ll be pressing it a lot to make sure you are heating every piece of the design. If you are heavy handed with your pressure one time and not the next, you’ll have uneven pressure points on your vinyl. If you look closely you’ll see lines in the vinyl design from that pressure. 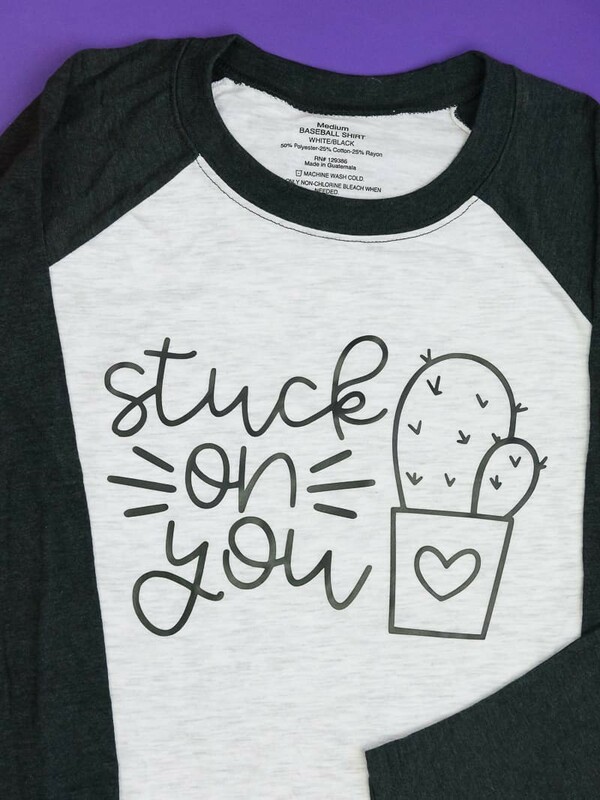 This isn’t that big of a deal if the shirt is for you, but if you’re making them for other people you don’t want those pressure points on your shirts. It can also cause your vinyl to come up off the shirt when you wash it. will give your shirts are more professional look. Let’s make a heat transfer vinyl shirt! Get professional looking heat transfer vinyl designs on your t-shirts with easy tips and tricks! Load your heat transfer vinyl into your machine, shiny side down. Unload the vinyl and weed your design. Heat up your Cricut EasyPress to the correct settings. 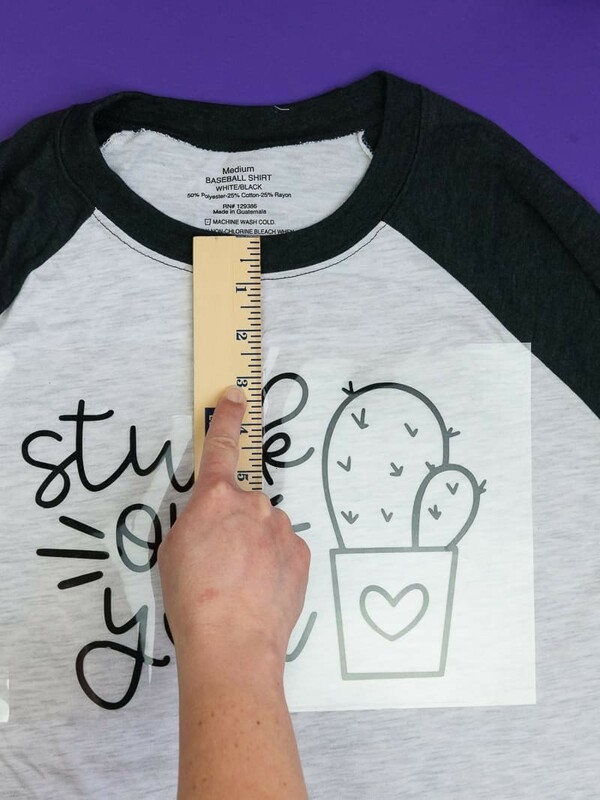 Layer your heat transfer vinyl and teflon sheet on top of your shirt then place the heated Cricut EasyPress on top and "press" your vinyl design. Remove the teflon sheet and then try picking up the carrier sheet that is on top of your vinyl design. If any of your vinyl pulls up with the carrier sheet, put the carrier sheet and teflon sheet back down and repress with your Cricut EasyPress. Continue to do STEP 6 until you can peel up your carrier sheet without bringing the vinyl up with it. ALWAYS make sure you mirror your design BEFORE you cut. Your design will be backwards (and I know it looks wrong, but go with it) but once you go to press it on your shirt it WILL be facing the right way. You can also fold your design in half (the non-sticky side of the carrier tape should be touching) to find the center of your design. DO NOT CREASE THE VINYL...just the top and bottom of the carrier piece. You can use the crease to line up your design with the center of your shirt. I have never noticed a difference in pressing the back of the shirt. However, Cricut does recommend this step for certain projects. Adding extra heat on the back will not hurt your design (make sure to still place the teflon sheet on top of the shirt before you press). IF YOU ARE DOING MULTIPLE LAYERS/COLORS: do not press for the full amount each time. The heat will cause your vinyl to shrink and your layers may not line up properly because of it. Press for 10 seconds (until the layer is pressed into the shirt) and then continue to do 10 second presses until all your layers are on the shirt. Then do one final 15-20 second press. Download the SIZING AND PLACEMENT GUIDE to help you figure out where to correctly place your design on your shirts. Try practicing these tips with some of my favorite shirt designs!